This evening we are delighted to bring you two Victorian volumes, which have been beautifully re-printed. The Sette of Odd Volumes was a club of book collectors that was founded in 1878 by the noted London book dealer Bernard Quaritch. The club held a dinner every month, and the members, many of whom were noted authorities in their own area of specialty, took turns to give fascinating and erudite after dinner talks. These were often subsequently privately printed as small books which were circulated to the members. William Manning was a club member who gave an after dinner talk on his recollections of the great magician Robert-Houdin. 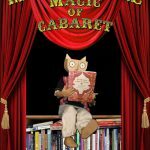 When Manning was a young boy he met the great magician and befriended Robert-Houdin’s sons. Reading the account of his talk today, over a hundred years after the speech was originally given in 1890, one is still struck by how forward thinking Robert-Houdin was and how down to earth. He developed many famous magic acts that are still performed today. Originally trained as a clockmaker, Robert-Houdin built all his own automata and magic props. He experimented with electricity and even wired his house with clocks and alarms in the 1860s which must have seemed very magical indeed. Manning captures the spirit of his admired friend. 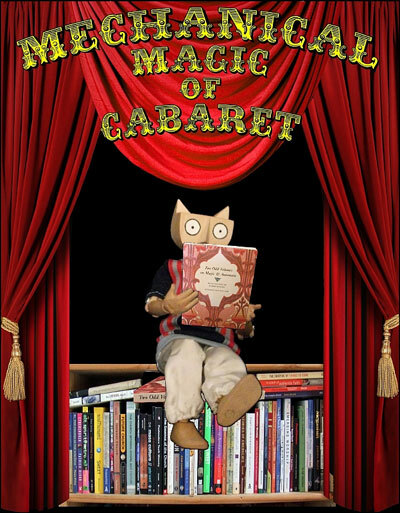 His words make the magician seem very contemporary and even more remarkable. 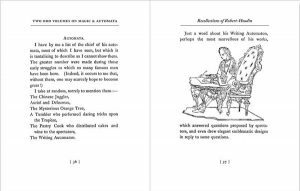 Manning’s talk on Robert-Houdin prompted another member, Conrad William Cooke, to undertake a brief survey on the history of automata down through the ages. That talk, given in 1891, resulted in the second wonderful book included here. 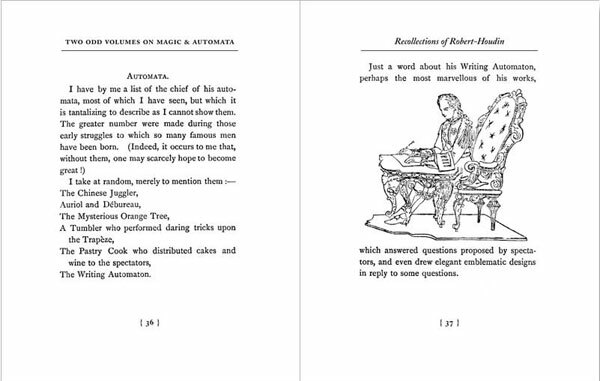 Two Odd Volumes on Magic & Automata collects these two books into a single volume. Carefully reproduced from the original copies this book is a delight to read. 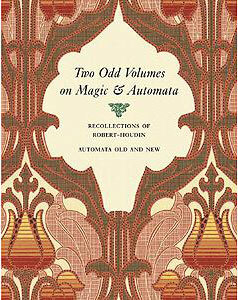 Recollections of Robert Houdin by William Manning, plus Automata Old and New by Conrad William Cooke.